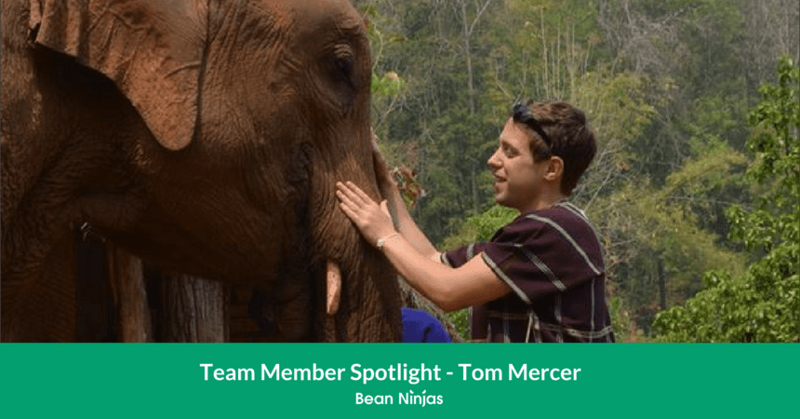 As we cruise on through October, we’re excited to introduce you to another remarkable individual and valuable member of the Bean Ninjas team – Tom Mercer. What Makes Tom . . . Tom! Bean Ninjas accountant and self-proclaimed “massive animal lover” Tom strikes the perfect balance between work and personal life. He believes in making the most of every opportunity to enjoy the best life has to offer, so his personal philosophy is to live life to the fullest. Tom will do anything to ensure his family’s happiness and loves having a job he enjoys to help him do so. He’s known for being hardworking, loyal and honest – traits which endear Tom to his beloved wife and to his many grateful clients here at Bean Ninjas. Oh, and Tom’s loyalty is also appreciated by his sweet dog, Tangas. When asked what’s the one thing he couldn’t live without, Tom said it would be the ability to experience new things. 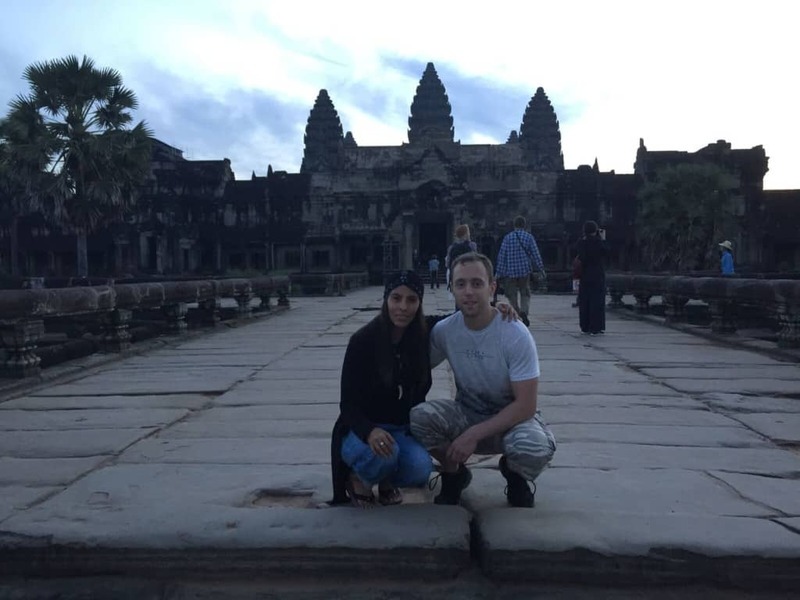 He’s sure he would do fine living pretty much anywhere as a digital nomad because he isn’t too attached to any one place or thing. From a cabin in the countryside to a shack on a beach to the big city scene, Tom’s right at home. Being able to enjoy a change of scenery is something he’s sure he can’t live without. 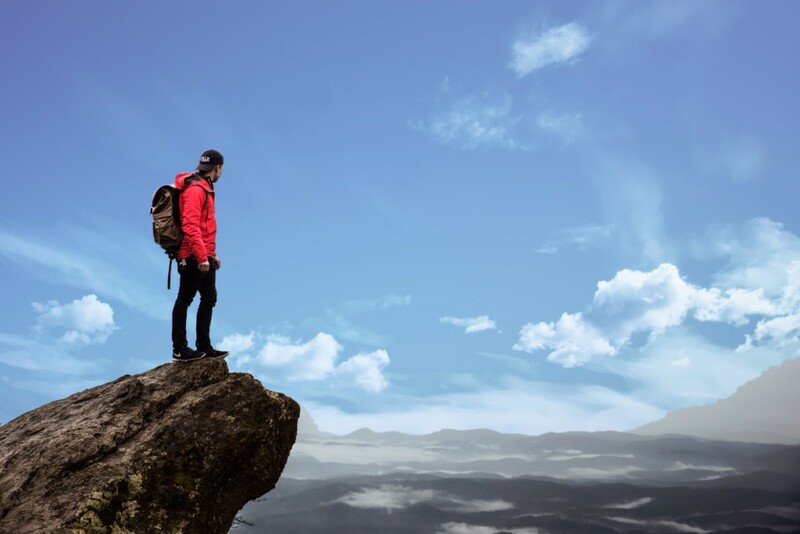 Indeed, this adventurous accountant has already taught himself Spanish in Mexico (his toughest challenge, to date) and skydived from a height of 18,000 feet (apparently, not a challenge, at all!). Next on the list of things to experience is likely an African safari. Tom Mercer may have several exciting aspirations and achievements, but his definition of success is a simple one: happiness. Tom just wants to be happy and see his loved ones happy, as well. He feels he’s successful if he can look back with a smile on the memories he’s made. Everyone has a story worth sharing. The one that brought Tom to Bean Ninjas is no exception. Tom started out as a junior accountant at a firm of chartered accountants. His time there allowed him to stash up a wealth of knowledge and experience. It wasn’t long before he became a fully-qualified chartered accountant. By the time Tom joined Bean Ninjas part-time, he’d worked his way up to a management accountant role at James Galt. But this wasn’t enough to satisfy Tom’s hunger for knowledge. Realising he needed to expand his understanding of finance and management, Tom seized the opportunity to go full-time with Bean Ninjas. Tom has learned that confidence is key, but you only get that confidence when you really know your stuff. Undertake to have an in-depth knowledge of your work and environment, and you’ll act decisively with zero self-doubts. Tom admits that long before he came to work with Bean Ninjas, he was sadly lacking in confidence. Go with what you know – not just what you’re told. The confidence will soon follow. “You can learn something from everyone,” says Tom. “They all have a different skill set and way of looking at things that might surprise you.” Don’t get so caught up in the superiority of your own knowledge that you miss out on something important someone else can contribute. Take the time to listen to ideas even from those less experienced than yourself. Being a good listener is definitely one of the reasons Tom’s a great asset here at Bean Ninjas! 3. Never underestimate personal connections. 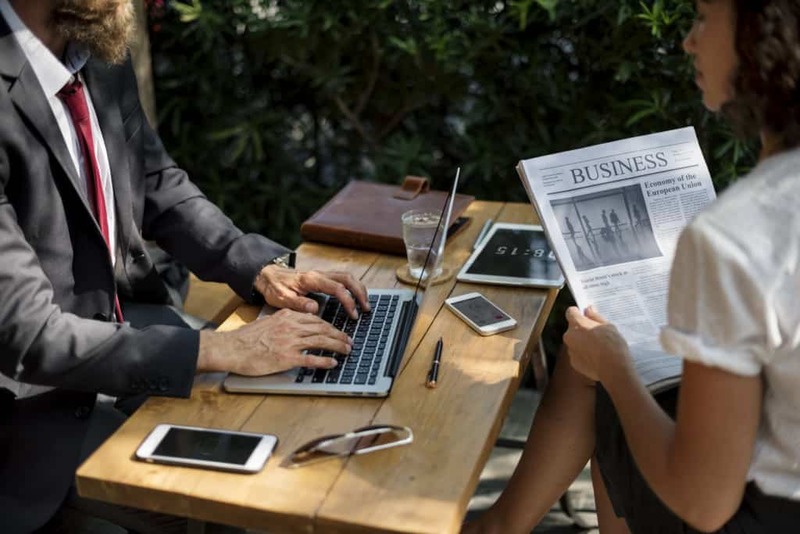 That step further could put you closer to a promotion, securing a new client, understanding your customer base or any other goal you can imagine. So don’t sacrifice interpersonal relationships for the sake of getting a job done. Rather, use the interaction to your advantage. Tom is, without a doubt, a leader figure at Bean Ninjas. His contagious enthusiasm for helping others realise success has rubbed off on the rest of us. He’s played a critical role in helping Bean Ninjas get where we are today. We think Tom is a fantastic mate to have on our team. But Tom insists that the feeling is mutual. A love of travel is what first drew Tom to Bean Ninjas. He found that working local jobs wasn’t cutting it when it came to supporting himself and his passion for seeing the world. But working at Bean Ninjas means working from anywhere in the world. After heading back to the United Kingdom to become certified as an online bookkeeper/accountant, Tom was introduced to Bean Ninjas. He says he couldn’t have been more lucky to find such a perfect fit for his personality and goals! When Tom first discovered what Bean Ninjas was all about, he knew he was onto something incredible. Even back then he saw the potential our team had to address an as-yet unmet demand for online bookkeepers. As Tom puts it, “I had to be part of it!” This ahead-of-the-curve entrepreneurship appealed to his curious spirit and has was hooked from that moment on. Not only has Tom found working with Bean Ninjas to be a convenient career, but it’s also a very rewarding one for him. Interacting with so many talented team members and clients has been a real boost to Tom’s creativity and a source of inspiration. He loves adapting to his clients’ unique needs to help them get the most out of what Bean Ninjas has to offer. Being a part of the Bean Ninjas team has afforded Tom a level of freedom and independence he’s never before experienced in his career. Besides that, he loves the fact that there’s always an equally-driven and enthusiastic team member available for him to consult with at any time. Tom has yet to achieve his goal of diving with great white sharks off the South African coast. 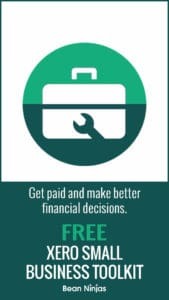 But he is ready right now to help you get your business’ bookkeeping in order! At Bean Ninjas, we’ve mastered how to build a high-performing team across multiple continents. That’s helped us discover quality talent like Tom Mercer. Contact us to learn more about our incredible team and how we can help you.